Last night I was compelled to write the follow post status on my Mama’s Turn Now Facebook page. My heart is heavy too and I can understand the world’s need to explain how someone could do something like take the lives of so many innocent people. BUT when I hear the media start to make accusations such as the fact that the shooter has ASPERGERS as a reason why this tragedy happened… well it makes my blood boil. Maybe he did have Autism and maybe he was right-handed or had brown eyes. He was a bad egg and whether or not he had Autism is not a factor. Once again everything we all work so hard to do, to make the world see our Autistic love ones as PEOPLE first and who have empathy and compassion just like everyone else can be washed away in a second because some stupid comment! My son has Aspergers and he is not a monster. Sorry I know I am preaching to the choir but I am just so upset! When the media makes comments in their search for understanding ( and ratings less not forget that) before having all the real facts they often do more harm than good. People hear these WORDS and if they have no prior experience with say… Aspergers for example, well they take these words that when strung together create pictures and images and ideas and stereotypes as FACTS. And once those WORDS are out there… well it can take forever to erase the damage that they can do. And they create damage people. What we say, or perhaps what we DON’T Say matter! I want to share with you a link to a blog post I read the other day that moved me to tears. It is written by an incredibly insightful young woman who happens to be on the spectrum. I hope you will take a few seconds out of your day to read this post, so that you will see why I am so upset about the media and how they use their words. Kate, the Aspie from Maine, thank you for being so honest with your WORDS! 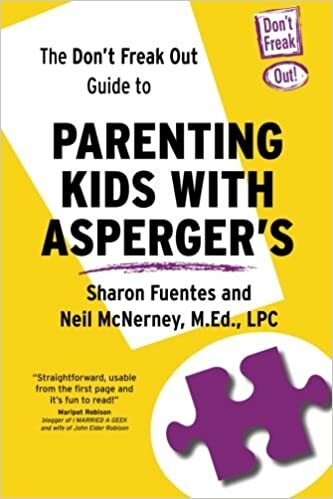 Thank you for helping to paint a very different picture of what Aspergers is, with your WORDS. Thank you for reminding all the parents out there, those with kids with special needs and those without, that the WORDS we use with our children matter. They help shape who they are and perhaps what they will do and become. It was not Aspergers that caused the shooter to do what he did… but it may have been the WORDS he heard or didn’t hear.